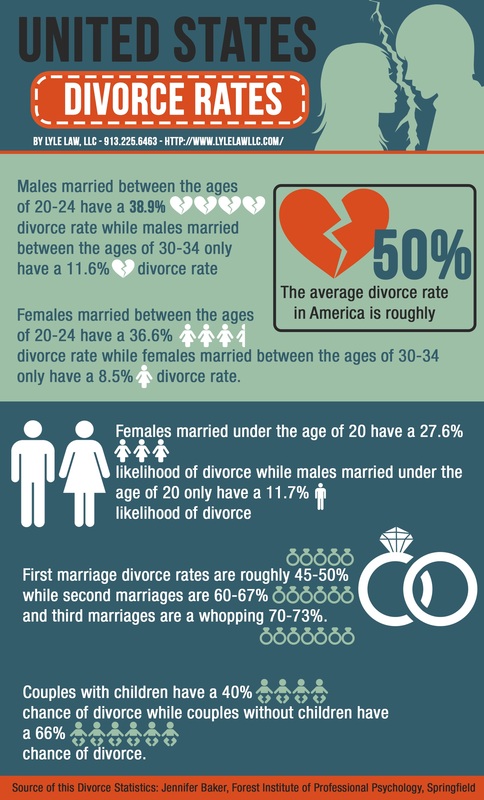 Check the recent statistics of Divorce rates in the US. The average divorce rate in America is 50% approximately. It has been identified that males and females married between age 20-24 have the highest divorce rate statistics.